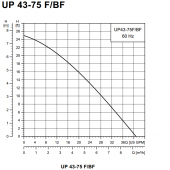 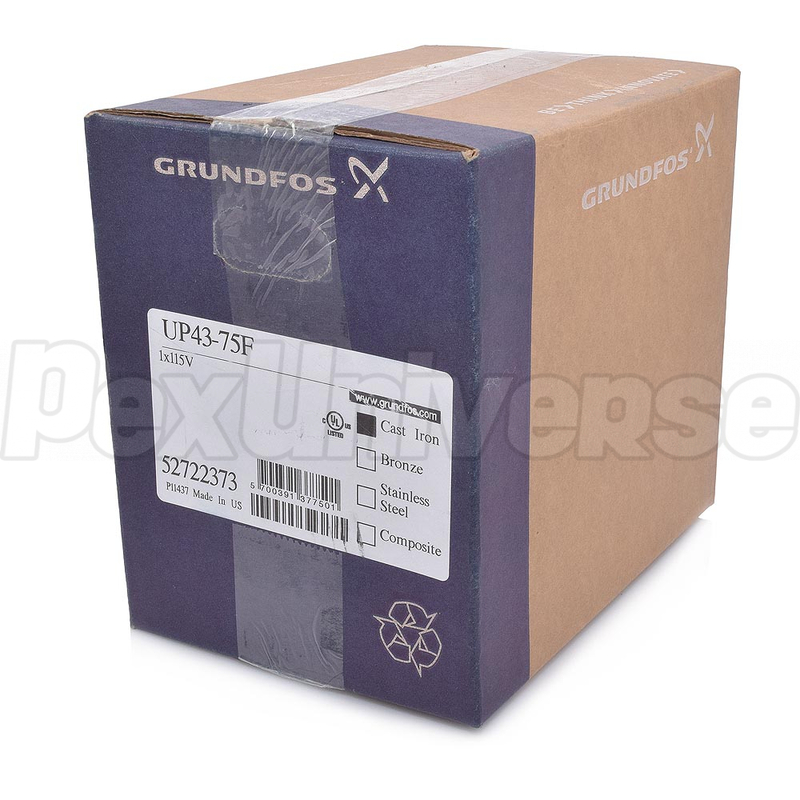 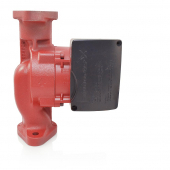 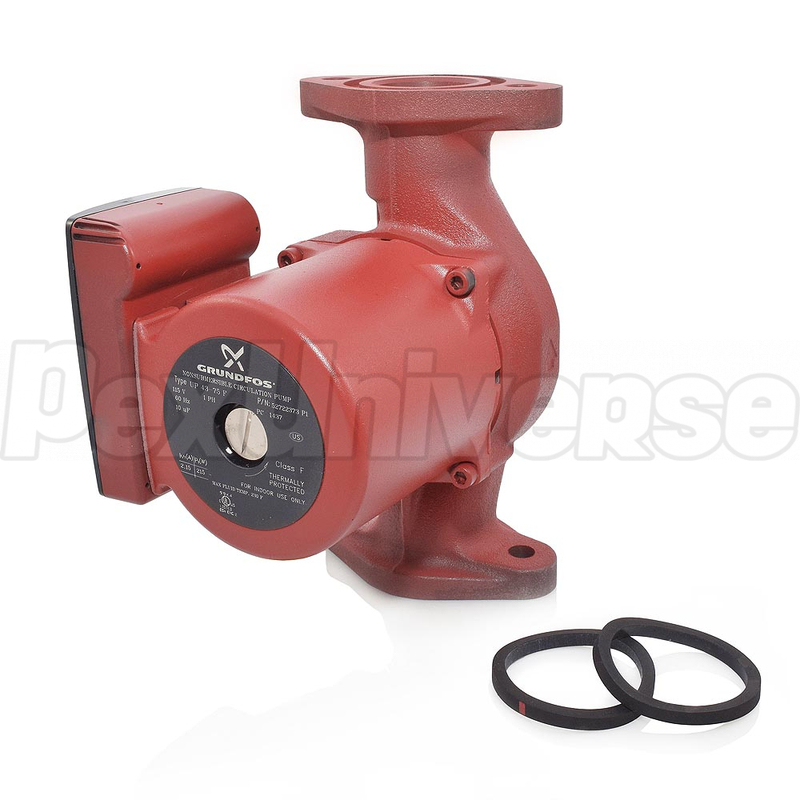 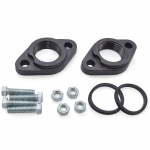 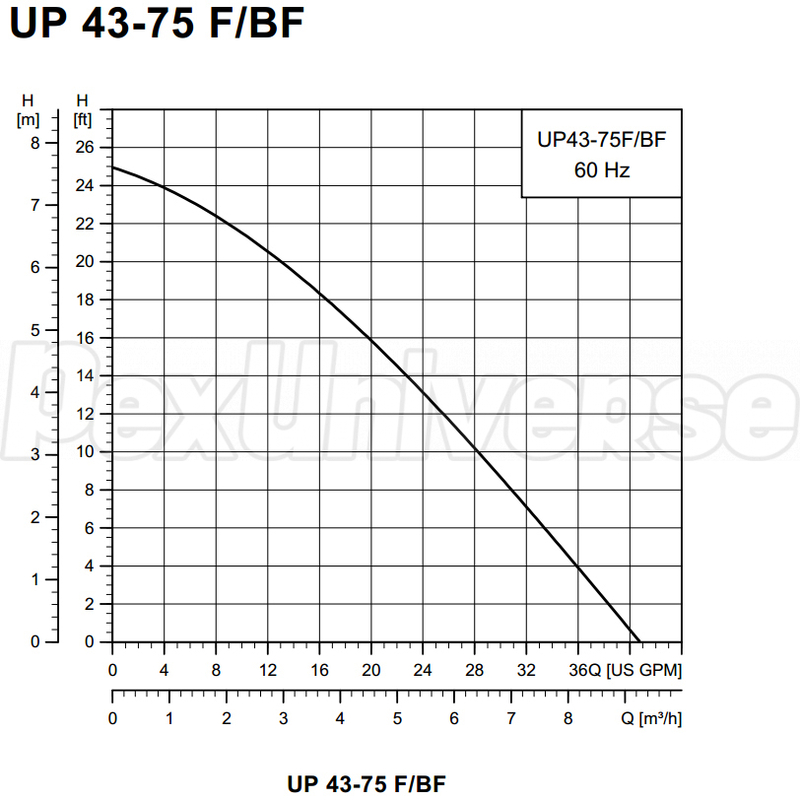 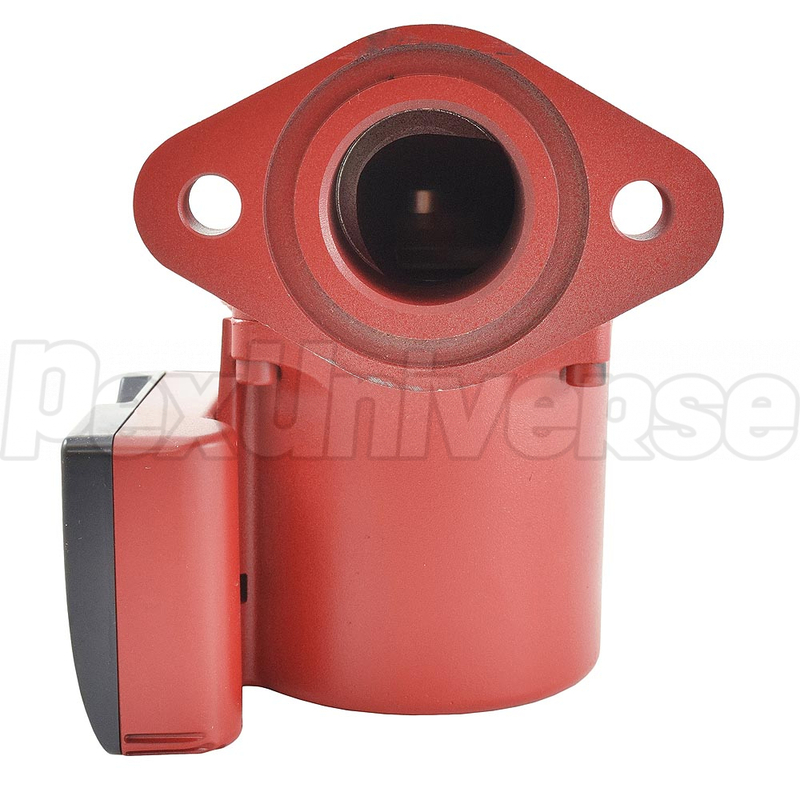 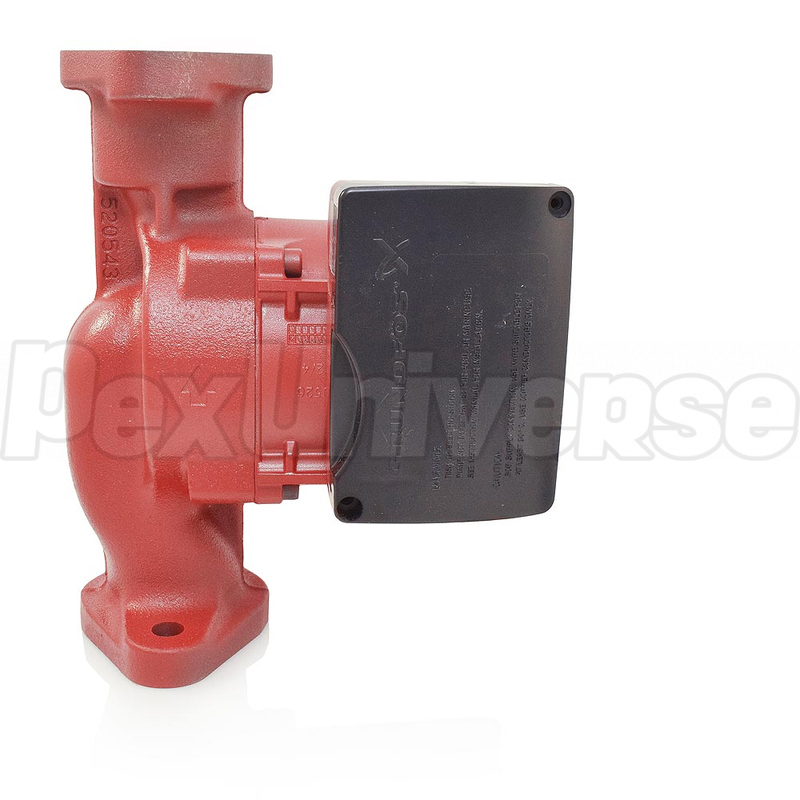 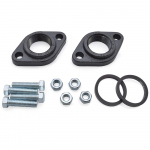 Grundfos UP43-75F (Grundfos SKU# 52722373) is a cast iron circulator pump with high flow, medium head characteristics. 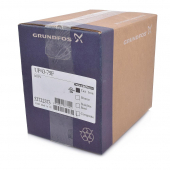 The Grundfos UP43-75F model is primarily used in closed loop residential and light commercial heating applications, such as radiant heating, hydronic heating (baseboards, radiators, fan coils), solar and many others. Hydronic, Fan coil and Solar heating applications.